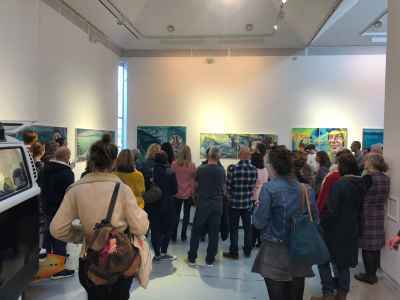 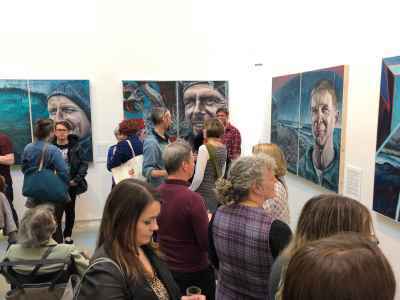 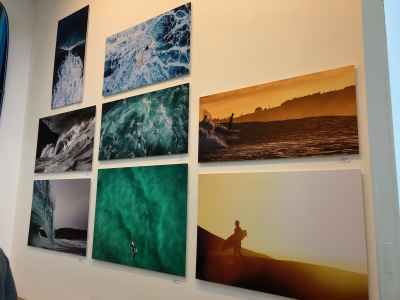 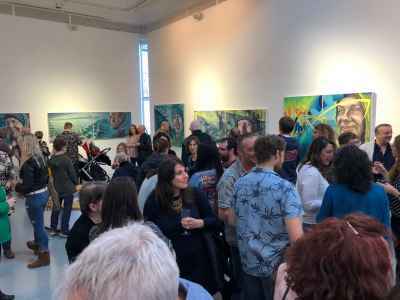 Art on land and sea came together on Friday evening at An Lanntair Arts Centre as Wave Migration, by painter, screen printer and surfer Laura Maynard, brought in an excited crowd of people for its official launch. 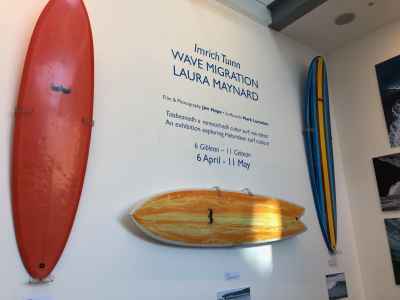 Laura thanked all the surfers who figure in the exhibition – 15 in total – for being so willing to work with her, and also thanked her family for their support through the development life of the project. 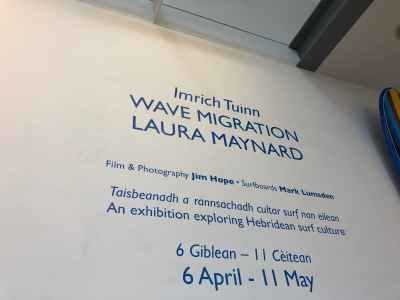 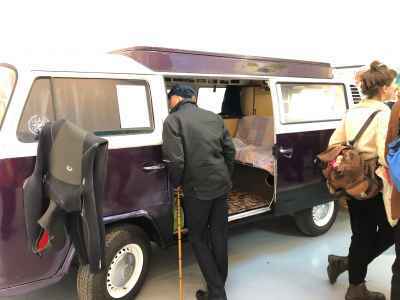 The exhibition – including an iconic campervan and a display of surfboards, fills the main gallery and overflows – like a bursting wave – into the reception area of An Lanntair.